All Are Welcome @ Camp Woodward! There's No Such Thing as Too Little or Too Much Experience @ Camp Woodward! 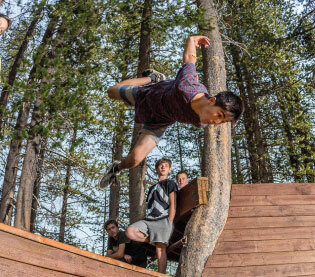 We all have to start somewhere, so why not start at Camp Woodward? Or, if your kid has had a few years of experience under their belt, have them improve their skills and learn new tricks with our programs designed for more advanced athletes! No matter if their skills fall in beginner, intermediate, or advanced levels, all will learn something new after a summer at Camp Woodward!